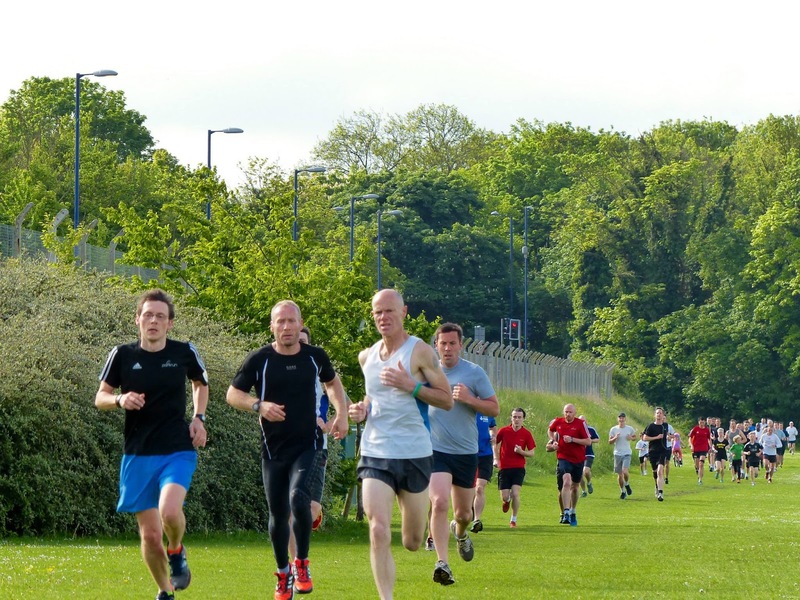 16 May 2015 saw the return of Dartford parkrun following a one week break in order for the set-up of the Trevithick Steam Festival to take place. After my run at Cassiobury parkrun event 11 that morning, I headed over to Central Park, in Dartford to check out the fair. It was the third year on the trot that I had been there and it was just as good as it always is. If you are local and missed it, I would thoroughly recommend popping over next time it is on. Back to 16 May and this event marked a personal landmark run for me, although it is not officially recognised as one. It was my double century, or in Roman Numerals, CC, or just simply known as my 200th parkrun. ... but not just any old cake. You see, I have a bit of a reputation as a prolific banana eater, so we (I say we, it was Dani) baked a couple of banana cakes the night before to share with the rest of the post-parkrun gang. The idea that I scrapped at the last minute was to bring enough bananas for all of the runners. 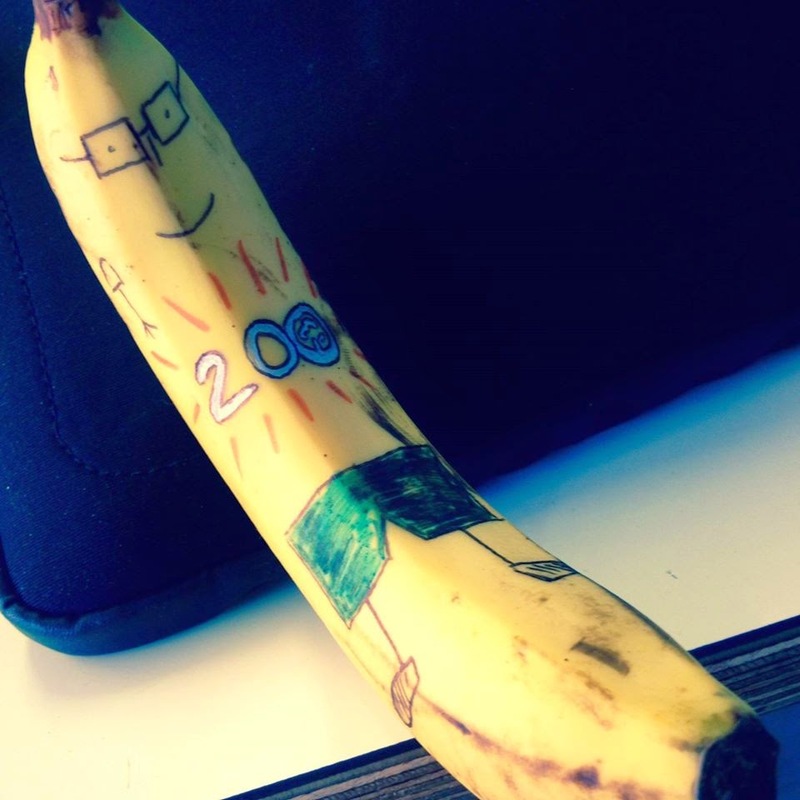 However, all was not lost as fellow core volunteer, Adam, spent some time creating a beautifully decorated 200th parkrun banana for me - that was pretty awesome of him (thanks, Adam). I was also very pleased to be able to welcome some parkrunning friends who had planned their parkrun touring visits to coincide with this event. Firstly Graeme from Riddlesdown parkrun [my course description blog] (he now has a course best time identical to mine), we've run countless parkruns at Riddlesdown together as well as plenty of races, so it was really nice to have him over to try out our course. 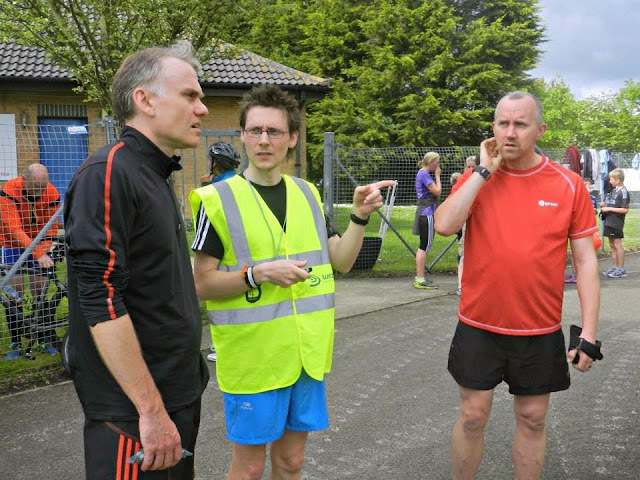 Then there was James, Teresa and Lisa from Maidstone parkrun [my Maidstone parkrun blog] - James kindly looked after me when I visited his home venue in January 2014 - we've also run quite a few local races together. And of course there was Nicola, who was the most experienced parkrunner present on the day with 220 parkruns to her name. 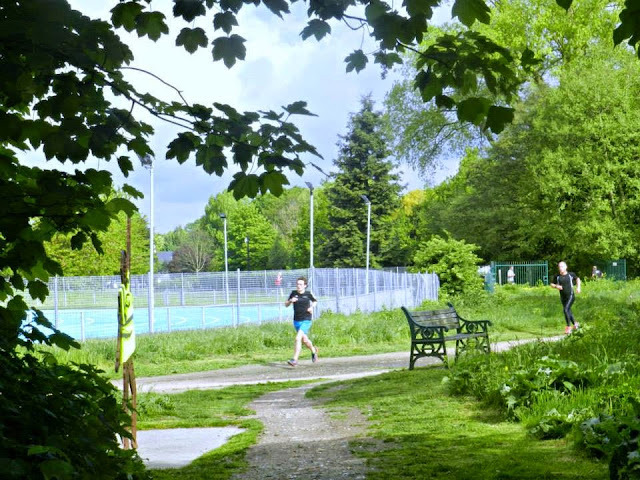 Her home venue is Roundshaw parkrun [I've run there twice, my blog posts are here]. We did quite a few volunteering stints together at Bushy Junior parkrun during 2013. 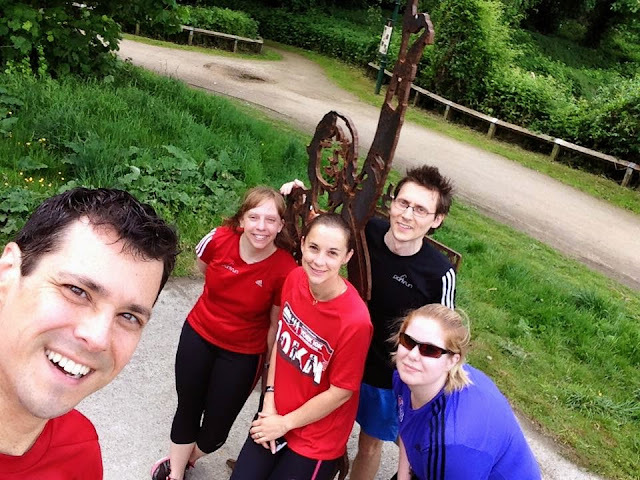 After the run we all went over to see the Mick Jagger statue and James even grabbed a selfie of us all while we were there. All in all, it was a fantastic morning and the running part, while important, only felt like a tiny part of the day. Thank you for all coming over to visit Dartford parkrun. Talking about the running, I had intended to run at around 4.12 per kilometre pace and finish in around 21 minutes. However, I started off with Tony and when we hit the 1km mark in 3.58, I decided that it made sense to just stick with that pace and aim to finish in just under 20 minutes, which I did. And I'm happy to report that I have never forgotten my barcode.